She began singing at the New Hope Baptist Church as a child. The death of Whitney Houston sent shock waves around the world, especially at the Newark church where she dazzled her first crowd as a child in the choir. Houston was born in Newark and raised in East Orange, and many said she never forgot her Jersey roots. Her mother, Grammy award-winning gospel singer Cissy Houston, had led the musical program at the 112-year-old New Hope Baptist Church. Whitney's cousin, singer Dionne Warwick, also sang in its choir. On Sunday, mourners flocked to the Newark church where Houston began singing as a child. Parishioners had fond memories of her many performances there over the years, and pledged never to forget her family's longtime membership and service to the church. "The pastor asked us to support the Houston family, to share our love and God's love with them and to give them strength in this sad time," said Shawn Cooper, 32, of Newark as he left an early Sunday morning service, which was only open to church members. "I haven't been a regular churchgoer, but felt I should be here today because this is a time for the community to come together," Cooper said. "The Houston family means a lot to this community, they have done a lot for this community, and being there for them is the best thing we can do as a community today." 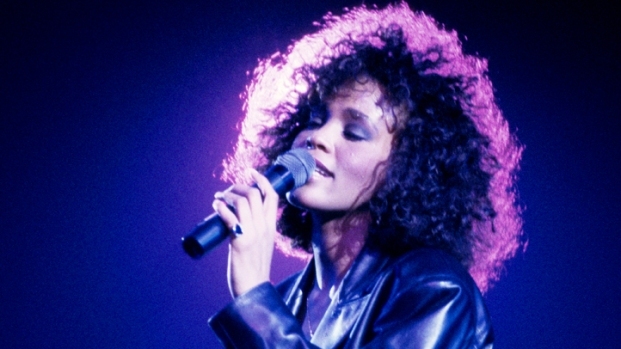 Follow all of our Whitney Houston coverage here. Several other parishioners voiced similar sentiments as they made their way into the church. "There'll never be another Whitney," said a visibly-upset Charlene Shariff, of Newark, who told NBC New York she grew up with Houston's family. "Everybody follows in her footsteps from her generation." A few sympathy cards were tied to a fence post at the church, including one addressed "to the greatest songstress ever.'' Next to it, a small bouquet of fresh flowers fluttered softly in the brisk morning air. Speaking outside the church before the service, New Hope's pastor, the Rev. Joe Carter, asked reporters gathered to respect the Houston family's privacy. "The family shared Whitney with the world, but Whitney was a mother, a daughter and a sister, and that's the focus we want to keep in front of everyone today. We ask that in this time of grief, you respect their privacy," Carter said. At another service later Sunday, the Rev. Jesse Jackson made a surprise appearance at the church. He recalled watching Houston perform in the church choir and spoke on how she had "grown up in this wonderful church," that had been a beacon in the national struggle for civil rights. Jackson said he was "traumatized" by Houston's sudden and unexpected death. Some of Houston's fans came to the church Sunday as a way to mourn the star. Among them was Charice Crawford, a 34-year-old Irvington resident who said the singer's music became the soundtrack to her life. "This is where I needed to be this morning," said Crawford, who does not belong to the church. "I understand why I couldn't attend the service, but being here helps ease the grief of her passing." Crawford said she and her younger brother would pretend, when they were children, that they were Houston and ex-husband Bobby Brown, singing their songs to entertain family members. "I always wanted to be her when I was little, and I always bought her albums the minute they came out," Crawford said. "It's so sad to think she'll never sing again." Still, her voice will be remembered for a long time to come, said Gerry Griffin, who scouted for Houston in the early '80s. He brought her to the attention of music mogul Clive Davis and helped her choose songs and producers. The gilded records and cassettes in Griffin's Brooklyn home are a reminder of Houston's transcendent talent. Griffin says that talent he spotted in a teenager from Newark will carry on for future generations.